Extremism breeds extremism, a concept seen pretty clearly in the marijuana industry. In a country where, despite mounting evidence, the federal government is stubbornly standing by marijuana’s classification as a Schedule I narcotic, it’s discouraging to see facts seemingly ignored. It’s no wonder, then, people would take the opposite extreme stance to combat. A report from Los Angeles Times delves into the phenomenon of pro-marijuana hyperbole in the face of anti-cannabis hysteria. Controlled Substances Act, 21 U.S.C. Section 812, deems that marijuana has no medical benefits, is addictive, and would be harmful to use even under a doctor’s supervision. Thirty states and Washington, D.C., disagree with this assessment and have passed medical marijuana laws as such. Those states laws, however, can only go so far to usurp the authority of the federal government. As such, certified doctors in those states can only dole out medical cannabis recommendations, rather than a full-fledged prescription. They can suggest certain forms of consumption for the ailments of the particular patient, such a lotions or edibles, but the patient is on their own for the most part once they reach the dispensary. Dispensary owners, for their part, have done a tremendous job learning about the different products they carry. They gather information from their shoppers about which products have had the most effective results for what disorders and diseases and they try to share this anecdotal knowledge with other patients. This strategy is hardly the exact science many patients with really dire diagnoses need. This has bred a grassroots culture of knowledge sharing among cannabis users that has been both good and bad. The good is, millions of people across the country have woken up to the plentiful benefits of cannabis, for both medical purposes and pleasure. 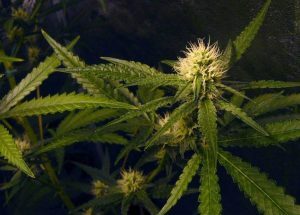 Without leading medical authorities to point to for guidance in the quest for knowledge about cannabis, though, it has been challenging to rein in exaggerated claims. For example, cannabis can ease the nausea associated with cancer chemotherapy treatments, and medical professionals are beginning to discover a link between CBD and cancer treatments. If you look to the authority of the collective intelligence of the Internet, though, cannabis allegedly can outright cure seven out of 10 cancer patients. Evidence is lacking, obviously, for such an over-the-top claim. When authority figures try to disputes these claims, however, there’s little room for trust. After all, how can the common person believe the same authority figures who tell them that cannabis has absolutely no medical benefits whatsoever, when it obviously does. That is why our L.A. medical marijuana attorneys believe so strongly in legalization. People need to be able to trust their doctors again. They need to be able to have legal access to marijuana that can potentially ease the symptoms of chronic pain, anxiety, Alzheimer’s Disease, and, yes, cancer. Doctors need to have access to the best medical research available to be able to prescribe exactly what their patients need. And researchers need funding and freedoms to conduct such tests without federal agencies looming over their shoulders. We all need to be operating on the facts, and the first step is for the federal government to face the facts about marijuana’s health benefits.